Maurice Woods knows design can change lives and communities. The Executive Director/Founder of the Inneract Project, an organization dedicated to providing free design education to inner-city youth, and to helping aspiring designers pursue careers through higher education, Maurice created the design education framework which serves as the program’s core curriculum and provides leadership for volunteer staff, helps set organization and education policy and develops IP’s strategic vision. A graduate of the University of Washington (BFA and MFA in Visual Communication Design), Maurice played basketball as an undergraduate and professionally worldwide for seven years before returning to UW to earn his master’s degree. Since graduating, he has taught undergraduate and graduate level courses at multiple colleges, lectured nationally and internationally and contributed to various media outlets including the Wall Street Journal. 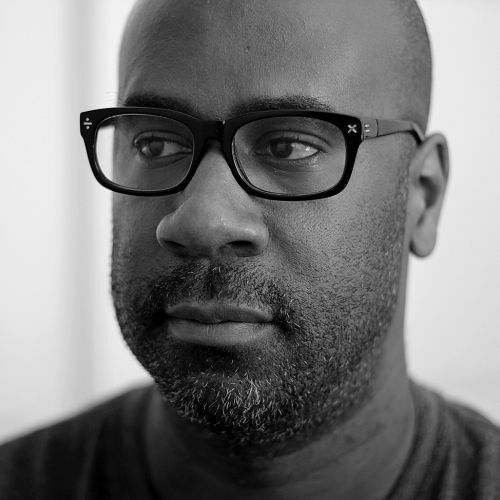 Currently a Senior Designer at Yahoo!, Maurice previously worked as a designer at Pentagram Design, where he created extensive identity, retail, exhibit and interactive programs for clients such as Nike, Greyhound, Symantec, Priceline.com, and Google. He has won multiple design awards, been featured in numerous publications and is a Jefferson Award winner. He has served as Co-Chair of Education for the AIGA San Francisco and nationally as a Board of Advisor for the Diversity Archive Collection Exhibition, and currently sits on the board for Design Ignites Change.